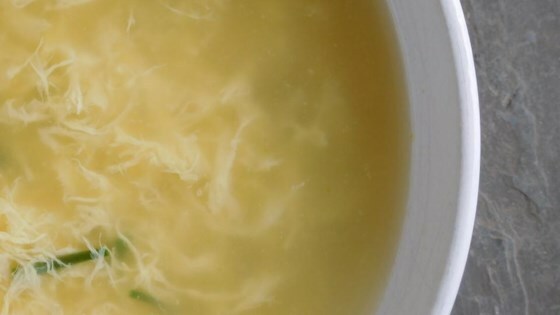 "This Egg Drop soup is born from a love of the soup and MANY trips to my favorite Chinese restaurant (asking them many questions) resulting in this variation. Compare it to your local restaurant...The simplicity is the key. Soup can be re-heated or frozen and re-heated."